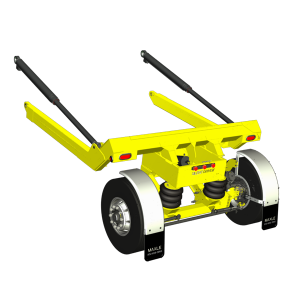 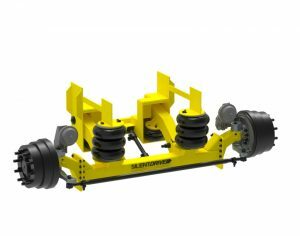 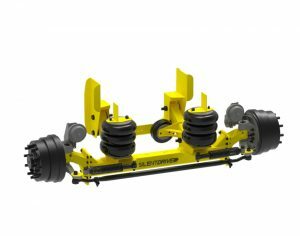 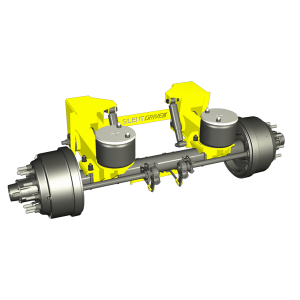 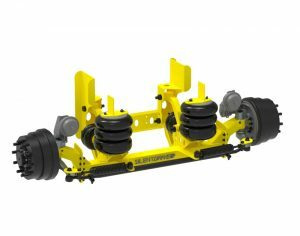 The steerable AAS-724-FA has an axle capacity of 20,000 lbs. 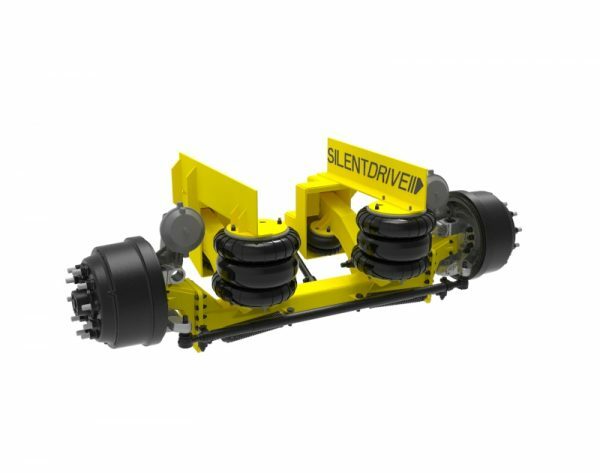 This is made with a fabricated steering axle (single tires). 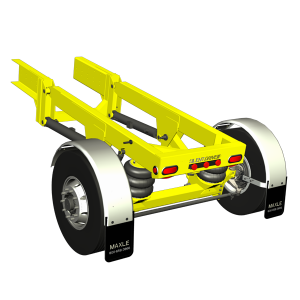 When lifted, the top of the axle beam is 7.5 inches below the bottom of the frame allowing a 8″ – 12″ ride height.